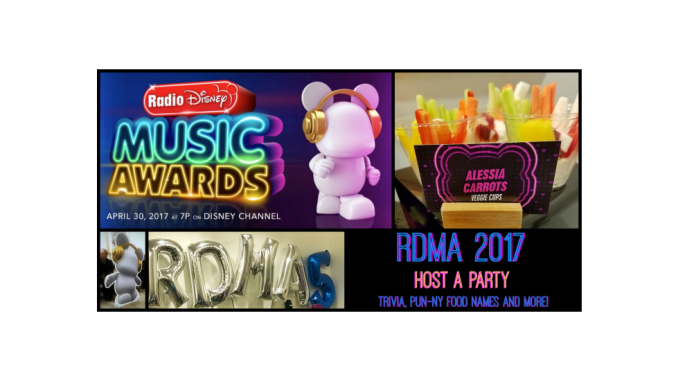 RDMA 2017 - Radio Disney Music Awards 2017 party ideas. Food, trivia and a list of nominees. While in LA for the #GOTGVol2Event, we went to a little party for the Radio Disney Music Awards (RDMA 2017). 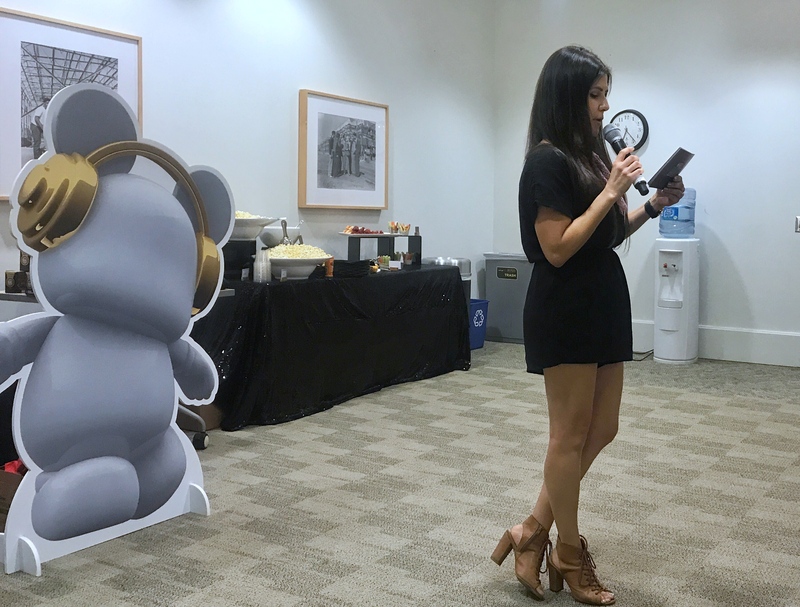 The event was hosted by none other than Candice Huckeba, a radio personality on Radio Disney weekdays from 2-6. We had some appropriately named party snacks and played a little trivia. A perfect little set up easy to duplicate to host an RDMA 2017 party this weekend. The 2017 Radio Disney Music Awards (RDMA), music’s biggest event for families, will take place SATURDAY, APRIL 29 at the Microsoft Theater in Los Angeles. Now in its fifth year, “Disney Channel Presents The 2017 Radio Disney Music Awards,” a special two-hour telecast will be presented SUNDAY, APRIL 30 (7:00 – 9:00 p.m., EDT) on Disney Channel. The fifth anniversary show will be hosted by Grammy Award-nominee Kelsea Ballerini, Broadway’s “Hamilton” star and Hollywood Records recording artist Jordan Fisher, Disney’s “Descendants” star and Hollywood Records recording artist Sofia Carson, Interscope Records recording artist and Radio Disney host Alex Aiono, and Disney Channel star Jenna Ortega (“Stuck in the Middle”). Nick Jonas will receive the 2017 ‘Hero’ Award, presented by Jack Black. More performers and presenters to be announced. Grammy Award-winning Spears is the first-ever recipient of the RDMA Icon Award which recognizes an artist whose career transcends popular culture. Her music began playing on Radio Disney in 1998. Let’s talk food ideas. During the RDMA 2017 event, we had some treats that had some PUN-ny names. If you have watched RDMAs in the past, you will want to download these trivia questions for a little friendly competition! During the event Candice challenged us with these questions. I attended the #GOTGVol2Event and #RDMAEvent to share my experience with my readers. All opinions are my own. 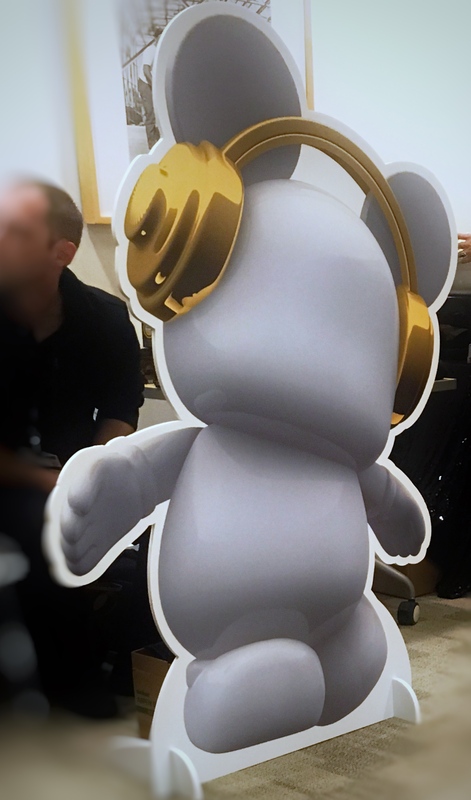 Hey Buddy!, I found this information for you: "RDMA 2017". Here is the website link: https://www.trippinwithtara.com/rdma-2017/. Thank you.